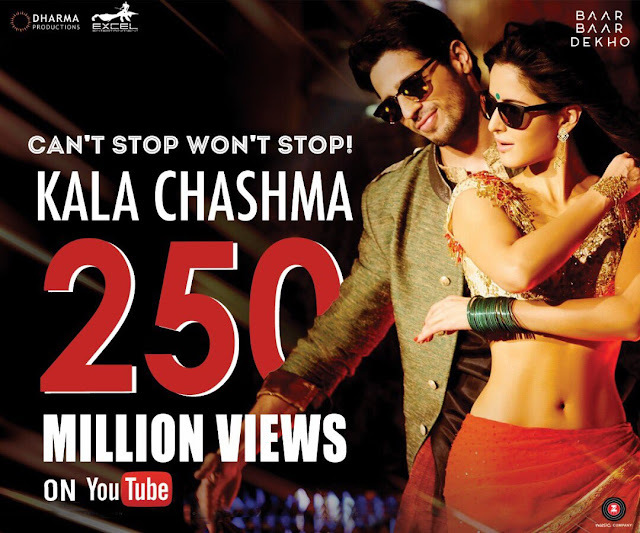 Kala Chashma: The Bollywood Hot Pair Sidharth Malhotra and Katrina Kaif have sort of created youtube history ever in Indian film actors.The Kala Chashma song from Baar Baar Dekho Movie The chartbuster continues to grow on the popularity charts. The song from ‘Baar Baar Dekho’ has added yet another feather to its cap by crossing the 250 million + mark on YouTube.Now its Indians Most Watched Song. 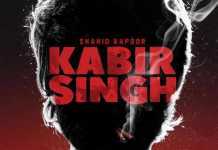 The funky track which features Bollywood actors Sidharth Malhotra and Katrina Kaif has been composed by Prem Hardeep and recreated by Badshah.Penned by Amrik Singh and Kumar, the Kala Chashma song has been crooned by Amar Arshi, Badshah & Neha Kakkar.The Kala Chashma Song Uploaded on Zee Music Company Youtube Channel and Published on Jul 26, 2016.